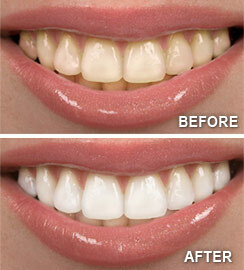 Professional Teeth Whitening for In Home use. It's hard to imagine anything more appealing than a sparkling white smile. Yet our teeth rarely stay as white as we'd like them to without a little help. Fortunately, that help is available for at home use. Take-Home Whitening — This is a highly effective way to whiten your teeth, You will be playing a greater role in ensuring the best possible results and several weeks may be needed to achieve your desired level of whiteness. First, a mold of your teeth will be taken and then two thin, flexible plastic mouth trays will be custom-made for you — one for the top teeth and one for the bottom. You will fill the trays with whitening gel and then position the trays over your teeth. The trays are left in usually for about an hour at a time. For more information on Teeth Whitening, call Skinner Family Dentistry in Roanoke, VA at (540) 344-6688!